Amy Williams has a motto borrowed from her grandmother, ‘I don’t like lickin’ my calf twice’. This may not make sense to the majority of the population, but for Amy this simple phrase emphasizes her outlook on life – Do it right the first time, every time. 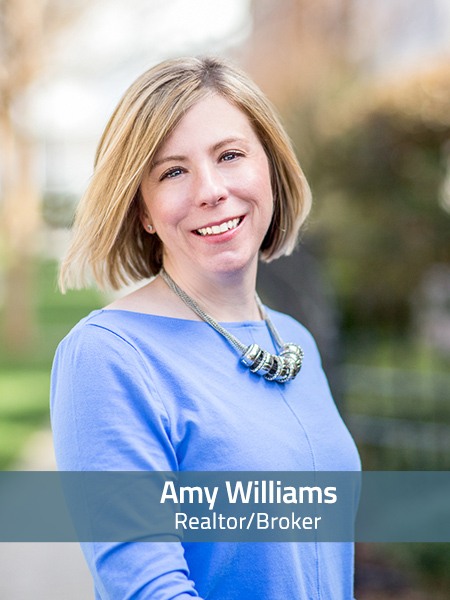 Incredible honesty, genuine compassion, and relentless to protect her clients, you’ll find that Amy is right at home with clients from all walks of life. A brief time with Amy and you will notice her attention to detail and uncanny sense of humor. When Amy’s not working hard for her clients she is found spending quality time with her two teenagers and her husband of twenty years. The great state of Michigan! Home is just north of Detroit in Rochester. My experiences with Realtors; the good ones and the bad ones made me want to take the good and fix the bad. Get pre-approved so you don’t fall in love with something that is not in your budget!